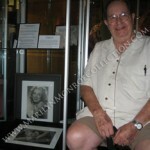 From the personal collection of Marilyn Monroe – two late ’40s photographs, signed and given to Mr. Bill Pursel. 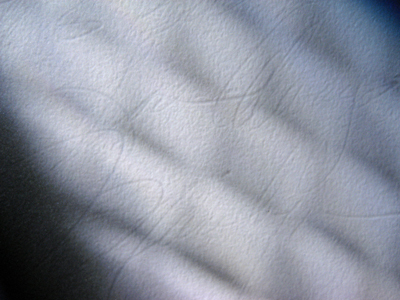 Marilyn gave these photos to Pursel during their last meeting. I was packed to go home early the next morning; it was around 7:30 pm, and I called her to say bye. She said she had a couple of pictures for me and could I come by in the morning. I said we are leaving at dawn, could I come by now? She said OK! 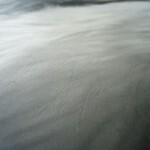 So, I drove to her apartment, and she answered the door with a smiling “Hi.” She was in a white terrycloth bathrobe, did not invite me in and said, “I’ll be with you in a minute,” then disappeared…leaving me standing in the hall. There were two large suitcases just inside the door, and both had the initials RR on them. 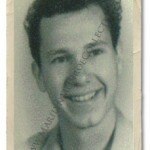 Norma Jeane came back to the door and asked me if I had a pen. I didn’t. 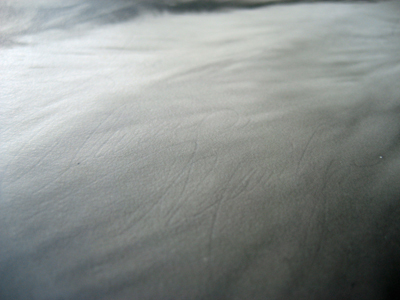 She said hers was about out of ink, but she would try to make it write, and she again disappeared for a few moments. When she reappeared, she handed me two large photos. I said thank you, she smiled, and said, “I hope you like them.” We just stood there looking at each other. Finally I said, “Goodbye,” and she responded “Bye.” I turned walking away feeling like an intruder, which, I guess I was. 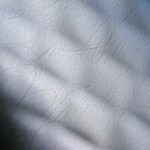 Click on a photo below for an enlargement. 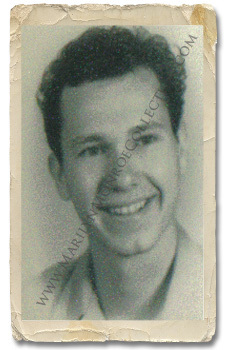 An original photograph of Mr. Pursel from the late 1940s, around the time he knew Marilyn Monroe. 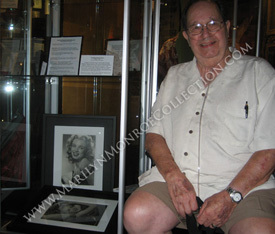 Mr. Pursel today, photographed with the signed pictures of Marilyn Monroe when they were on exhibit at the Hollywood Museum in Hollywood California.